TV Aerial Installation - South Wales' No 1 TV Aerial Installers. A good quality digital television aerial, combined with an integrated digital television or set top box will ensure your home is receiving the full range of Freeview™ channels, digital radio stations and a range of interactive services making the most out of your equipment. We can supply and install a range of TV Aerials capable of receiving Freeview™ standard definition and high definition services and also install DAB Radio aerials. We also service & maintain existing systems and provide an aerial repair service. If you own a Smart TV and are experiencing difficulty connecting your TV to your broadband we can help you. We are licensed to display the Freeview™ logo as we have met the strict guidelines and standards expected of a digital aerial installer. 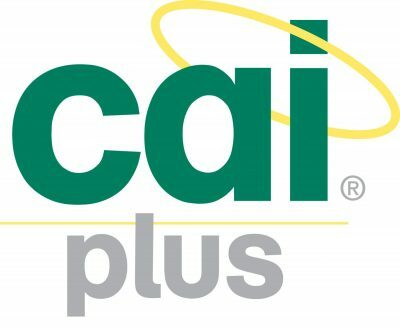 For even more piece of mind we are CAI Plus members for domestic aerial installations, government Trust Mark scheme members and RDI registered installers. All of this means we are NVQ qualified, comprehensively insured and regularly inspected by industry governing bodies to ensure compliance of installation and health & safety standards. Call us today to arrange a free quotation. An integrated digital television or Freeview™ set top box together with a suitable aerial will provide you with all the latest Freeview™ services. If you have an integrated Freeview HD television or a Freeview HD set top box you will also receive all available high definition Freeview™ channels in crystal clear high definition. Our aerial installations are also fully compatible with YouView, BT TV, EE & TalkTalk TV services. IRS – An integrated reception system or IRS offers flexibility for the user to choose how they view digital TV. An IRS system combines terrestrial aerial signals with satellite, as well as FM & DAB radio signals, leaving the end user free to decide exactly how they receive their digital television. The end user can choose to connect their integrated digital TV or set top box to the outlet plate in order to receive free to view digital TV or they may also choose to connect to a satellite receiver and subscribe to service’s such as Sky Q. The system would operate as if the receivers were connected directly to their own aerial or satellite dish, so the end user needs no special equipment. MATV – Master antenna Television or MATV systems differ from IRS as they only offer Freeview™ and DAB/FM Radio services. When offering the end user the choice of satellite TV is not a prime objective this can result in a cost saving for the developer. This type of system also covers signal reception for subscription services such as BT TV, EE TV, Talk Talk TV and Now TV. SMATV – Satellite Master Antenna Television or SMATV systems are often used in environments where the number and type of channels available need to be controlled, for example in care homes, hospitals and hotels. A head-end unit is installed to receive the required channels from a digital aerial, satellite dish or both. The head-end processes the signals into the pre-selected range of channels and distributes them to each TV point. Guests can then access the channels independently of each other. This type of installation can also include local sources such as information or advertising channels.